A debt consolidation calculator is a useful tool to check if consolidation is for you. A debt consolidation calculator is a useful tool if you are trying to decide if consolidation is the right choice for you. They allow you to enter your debt and play around with the terms to find out how different scenarios will affect your monthly payment. You can also manipulate the interest rate, the payback time, and other factors that differ between companies. Debt consolidation calculators can help you decide between companies; some may offer a very low interest rate, but charge high upfront fees or closing costs. These elements can be entered into the calculator to help you decide how these factors will affect your costs in the long-run. People in different circumstances will find different terms attractive to them. If you are very short on cash right now you may prefer a loan with no fees and a slightly higher rate. The loan will cost more in the end, but if you don’t have any money in the beginning the entire debt consolidation would be cost prohibitive if there were upfront fees. Financing money over a longer period of time will probably cost you more money. Debt consolidation might ruin your credit and there are several other pitfalls, but if you’re desperate, you may have no choice. Financial experts agree that debt consolidation is not the best option, but it can offer some breathing room if your bills are too much for you to handle. 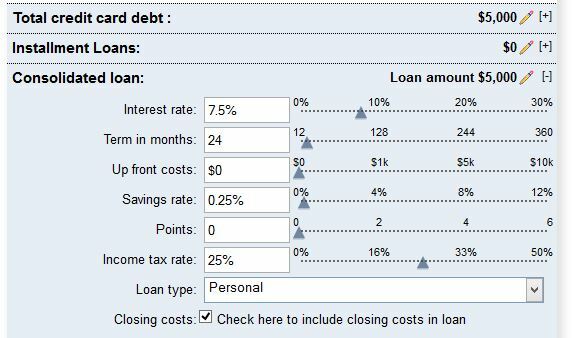 A payoff debt calculator can show you exactly what you’re paying so you know what you are getting into. Being armed with all the information will help you stay in control of the situation, rather than letting the situation control you. 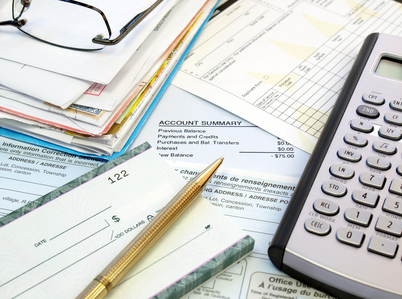 Using a debt consolidation calculator can help you decide if this option is right for you. You can enter the terms you are given by a debt consolidation company or a private loan that you take yourself, and see in black and white what taking this money will cost you. It may cost you thousands more over several years; but on the plus side, you may be able to pay hundreds of dollars less every month. For some people this can be the difference between having food, electricity, a roof over their head, or not! The reason for your debt, whether it is because of an emergency or overspending, should be addressed prior to taking a debt consolidation loan. One argument against this option is that debt consolidation only treats the symptom of overspending, not the problem. After you pay your debts with a consolidation loan, you will be faced with zero balances; you must resist the urge to charge those cards back up to the limit just because it is available. 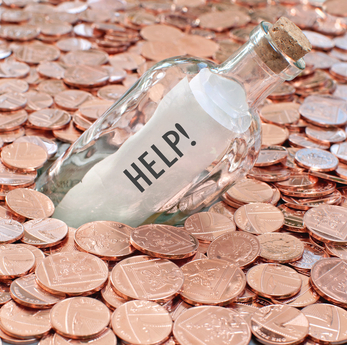 This is one of the biggest downsides facing debt consolidation customers. People don’t really work for a consolidation payoff; it’s kind of considered an easy way out, but that’s not really true. You are tied to making loan payments for up to 5 years or more. Only 25% of debt consolidations succeed and that’s because either people don’t stick with the payoff schedule or because they run up their empty credit cards and then end up with 2 debts! Which Type of Debt Consolidation is Right for You? There are a few different methods of debt consolidation. You can sign up with a debt consolidation company; they usually take care of paying everything. You make one payment to them every month. It helps some people to be accountable to a person or company rather than doing it alone. Some people get low interest loans on their own and others transfer their balances to a zero interest credit cards. This is a great option if you can pay the debt off before the introductory rate runs out. You get to finance the debt free* for the zero interest period, which can last for several months, but certainly not as long as other debt consolidation options. *Some cards do charge a balance transfer fee that is about 3% of the transferred amount. Usually, balance transfers have a limit of how you much can transfer, so if you have multiple cards with high balances this might not even be an option for you. If you are trying to dig yourself out of debt and considering consolidation, use one of the many online debt consolidation calculators. They can help you in deciding whether to use debt consolidation, which method, and which company. Debt consolidation calculators can help you regain control of an out-of-control debt situation. Debt consolidation calculators can help you regain control of an out-of-control debt situation.